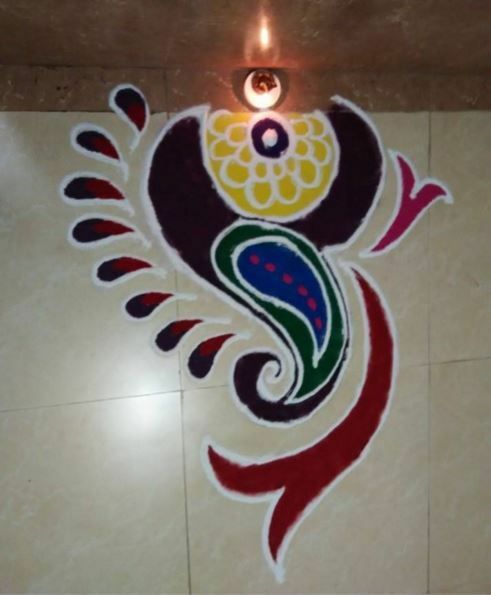 Diwali is here! The whole week is all about fancy clothes, diyas, lanterns, sweets and savouries, firecrackers and fairylights. I am sure you all are done with the Diwali preparations. Well, I am not. 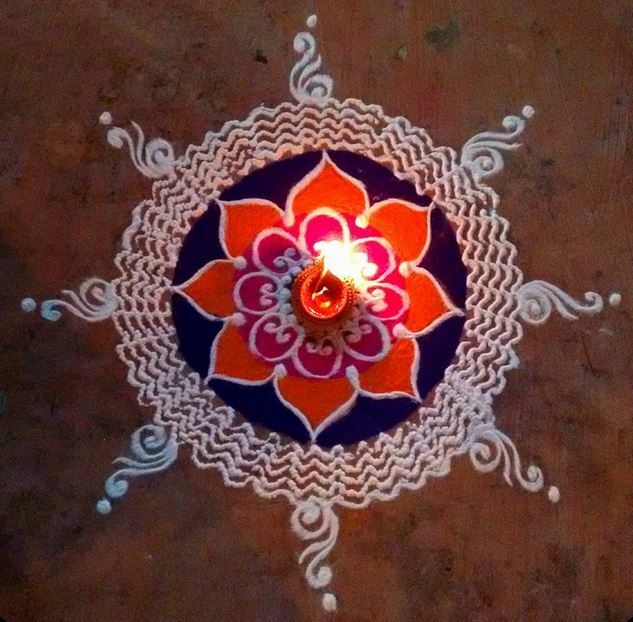 Like every year, this year too my mother has asked me to bear the responsibility for the Diwali rangolis. And like every year I am in a jiffy because I am not really good at it. 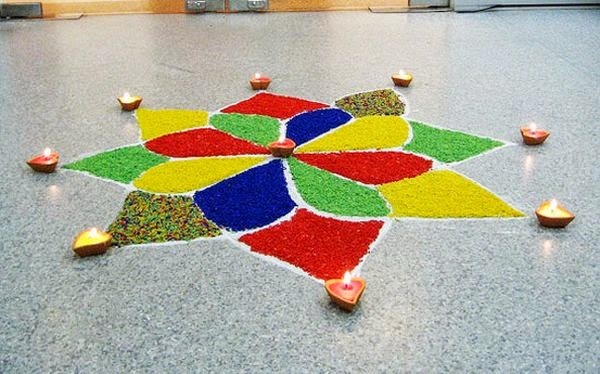 I thought some of you might face the same problem so here a are a few simple rangoli designs for diwali that you can try this festive season. 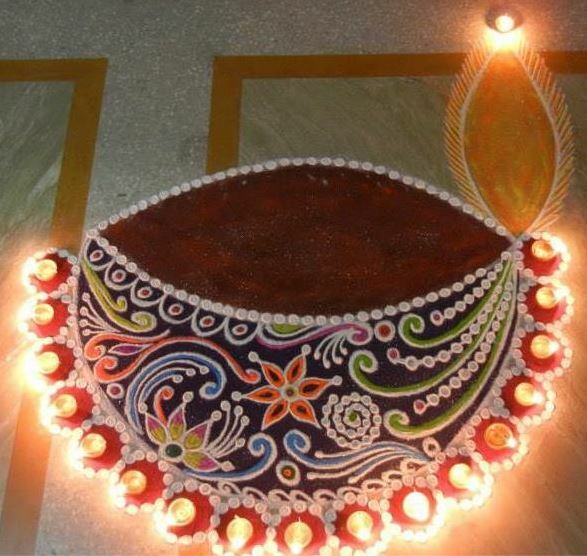 The first thing that comes to your mind for a rangoli design is a diya! This one is a classic design and of course you can improvise in your way. 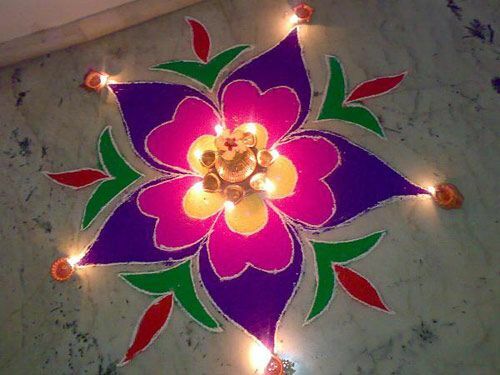 Your rangoli will really stand out if you decorate it with diyas. 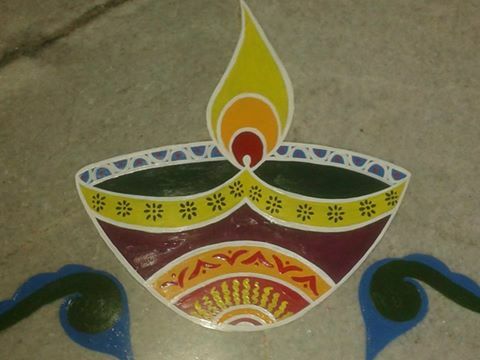 The trick with this design is draw a diya and decorate it with actual diyas! 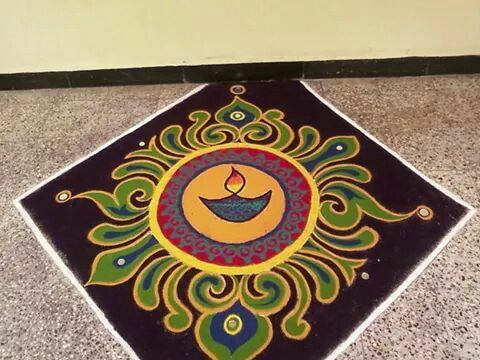 This literally is my go to design every year and is one of the best rangoli designs for diwali. Honestly, florals never fail! Even if you are a beginner you can easily draw this one and of course improvise it in your own way. 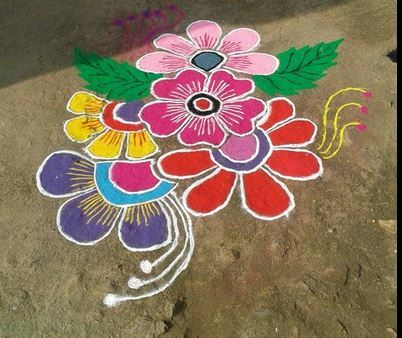 You can also simply draw rangoli designs with flowers. They look undoubtedly beautiful and are quite easy to make! This one is a must try if you want a design that is large and will be perfect in front of your door or gate. Another diya design! This one is quite simple and it can be perfect even if you draw it everyday. Just change the color combinations and designs of the diya. This one is perfect for when you have a very little time to draw a rangoli (because you are busy getting ready like me). You can even fill up those circles with flower petals. This one is a little time consuming but the results, as you can see for yourself, will be amazing. So, you might need an artistic hand for this design and a sense of symmetry but you can always take help from someone because look how pretty it looks! 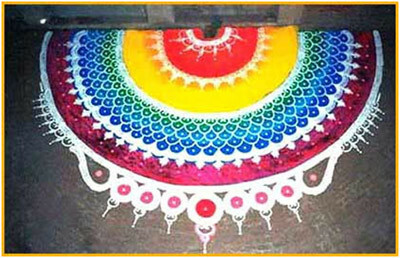 You can also draw it with a chalk first and then line it with rangoli. It will be easier that way. This beautiful floral design is the one for you if you are tired of drawing diyas. Again a good one if you don’t have that much time. This would literally take up 5-10 minutes to draw and color. I would suggest use brighter colors to make it look more lively. Here is another diya design for y’all (and my go to for this year too, lol). This one is simple yet beautiful. Draw the outline with white rangoli first and then you can either fill it with colored rangoli or flower petals of different colors. 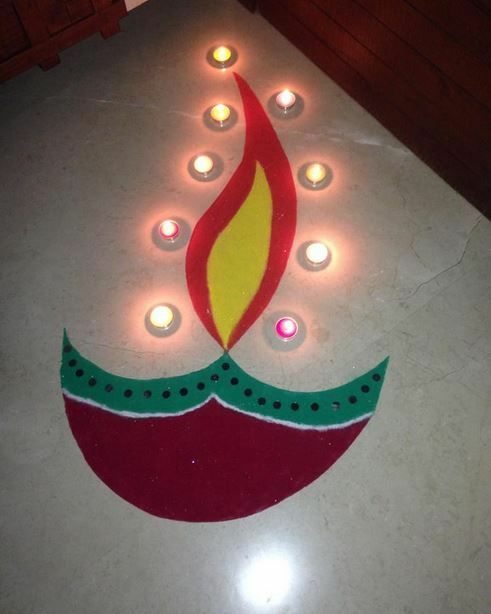 So, these were some really simple rangoli designs for diwali. I am sure you will like it and these will definitely look great in front of your house. Happy Diwali to all of you! Stay safe and have fun.